Officer Ford Gotti, the Harley-wheelin’ biker cop who arrested us, keeps sticking his perfectly-sculpted nose into my case. His inked body is jacked like a superhero, and he says I can trust him. He wants me to fess up. I won’t. Not again. Why should I? My friends and I had a previous stint in juvie that nearly destroyed us. I gotta protect them and keep my mouth shut. Right? —Lex Easton, women’s studies major, motorcycle enthusiast, and virgin. 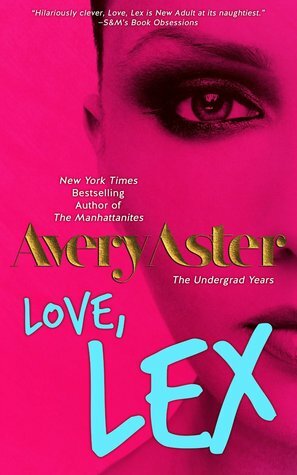 I totally loved the chance to peek into the young lives of Avery Aster’s fabulous characters, Lex, Taddy, Vive and Blake from Undressed and Unscrupulous. These characters are fun, quirky, sassy, and the most loyal friends you’d ever want to have! 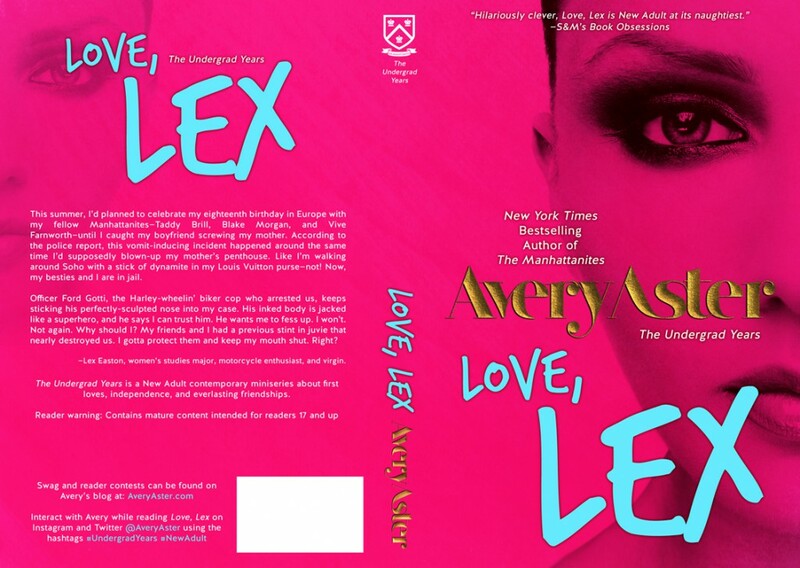 LOVE, LEX was a crazy adventure into what it was like for Lex living with her self-involved, over-sexed mother, Birdie. In one wild day Lex catches her boyfriend screwing her mother, blows up Birdie’s apartment, gets herself and her friends thrown in jail, and falls for the hot fantasy-inducing motorcycle cop, Officer Ford Gotti, who arrested them. All the day before she turns eighteen. ~Complimentary copy provided by author in exchange for a honest review.